Even the Justice Department does not have a license to take contradictory positions in important cases, even if one of those cases is Enron-related. Leading up to the the sentencing hearing tomorrow in U.S. District Judge Ewing Werlein‘s court in regard to two defendants in the Enron-related Nigerian Barge case, developments in another case this past week shine a clearer light on the dubious nature of the government’s position that Judge Werlein should toss the barge defendants in prison and throw away the key. The Enron Task Force is taking the position that former Merrill Lynch executive Daniel Bayly should receive a more severe sentence based on a bogus theory of “shareholder loss” that has been long rejected in civil securities fraud cases. 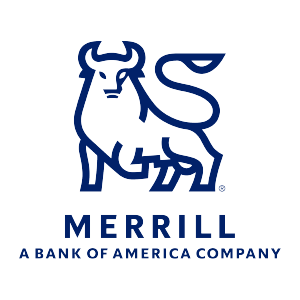 By way of background, Mr. Bayly was a well-regarded and longtime Merrill Lynch executive who was involved in a transaction in late 1999 in which Merrill bought from Enron an interest in three Nigerian energy-generation barges as a favor for Enron. An Enron partnership bought the barges six months later and then sold them to a third company for a profit. The Enron prosecutors argued that the deal allowed Enron to book illegal profits at the end of 1999 because Enron had orally agreed to buy the barges back from Merrill, and a jury convicted Mr. Bayly and four others of conspiracy and fraud (Enron’s in-house accountant – Sheila Kahanek – was acquitted). The prosecutors are now arguing that Judge Werlein should increase Mr. Bayly’s sentence by up to 15 years because the alleged fraud caused a near $44 billion shareholder loss. The prosecution has no legal basis for this alleged loss figure. Under civil securities fraud law, investors sue for a decline in the value of a security only if they can show that the decline was actually caused by the fraud. Thus, if a company puts out news of a transaction that causes a share price to rise, and then discloses that the transaction is a sham that, in turn, causes the share price to decline, investors can recover any loss that resulted directly from the disclosure of the misrepresentation. Which is precisely the rub in the Enron Nigerian Barge case — no such loss resulted from the alleged sham deal. Enron sold the barges to Merrill and Merrill sold them to an Enron-related partnership well before Enron collapsed at the end of 2001. Accordingly, any reduction in the price of Enron stock happened well in advance of disclosure of details of the barge transaction, which disclosure did not occur until well after Enron had filed bankruptcy and Enron’s share value had already dropped to zero. Consequently, the government simply cannot show that Enron shareholders lost a dime from the disclosure of this particular transaction. To get around this rather substantial legal problem, the Enron Task Force prosecutors are taking the position that, because some shareholders bought Enron stock at an inflated price due to losses that were covered up by the barge transaction, those purchases equate to a loss. The prosecutors even got an “expert” to opine during the market loss hearing after the completion of the Nigerian Barge trial that the relatively small barge deal pumped up Enron’s price and, presto, the government has its $44 billion market loss figure. Interestingly, even the Justice Department does not support the Enron prosecutors’ dubious views regarding market loss. Earlier this week, the Supreme Court unanimously ruled in Dura Pharmaceuticals v. Broudo that plaintiffs who claim securities fraud must prove a connection between a misrepresentation and an investment’s subsequent decline in price. In direct contradiction of the Enron Task Force’s position in the Enron Nigerian Barge case, the Justice Department and the Securities and Exchange Commission filed this joint brief in Dura in support of the proof-of-causation position and against the price inflation theory of causation that the Justice Department prosecutors used in asserting “market loss” in the Nigerian Barge trial. Does simply the fact that a case is related to Enron justify the Justice Department in taking such blatantly contradictory positions? The Justice Department continues seeking maximum sentences against easy targets, such as relatively wealthy business executives who had the misfortune of doing business with the pariah Enron. Apparently, it’s going to take wise judges to step in and check the government’s zeal. Judge Werlein is capable of doing so, and I hope he does so tomorrow.